While we wouldn’t advocate wearing a stopwatch while you wash, it pays to keep an eye on the time in the shower. “Shower for too long and you’ll remove important oils from your skin,” says consultant dermatologist at Cadogan, Dr. Anjali Mahto. “The same goes for heat: high temperatures aren’t good. Keep it short and warm.” Start the day by giving your skin a fighting chance. That’s not carte blanche to quit washing, of course. Opt instead for something less irritating like Bulldog’s Original Shower Gel to stop your skin feeling rough. If you’re a stickler for certain brands and unwilling to swap out your favourite shower gel (irritating soap or no), then your only option is to go nuts during the next phase of your morning routine. 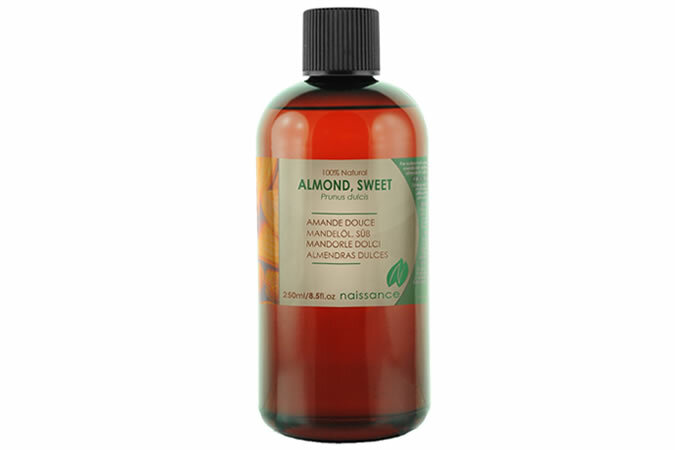 Almond oil, when applied to your face on a daily basis, delivers anti-inflammatory linoleic acid – this in turn reduces redness and soreness, countering much of the adverse effect soap can have on your skin. Didn’t fancy the almond oil? Us neither. When it comes to regular moisturisers, Dr. Mahto says the optimal deployment is in the precision of your timing. “Immediately after your shower, when your skin is crying out for lost oils, is the best time to apply your cream,” she says. 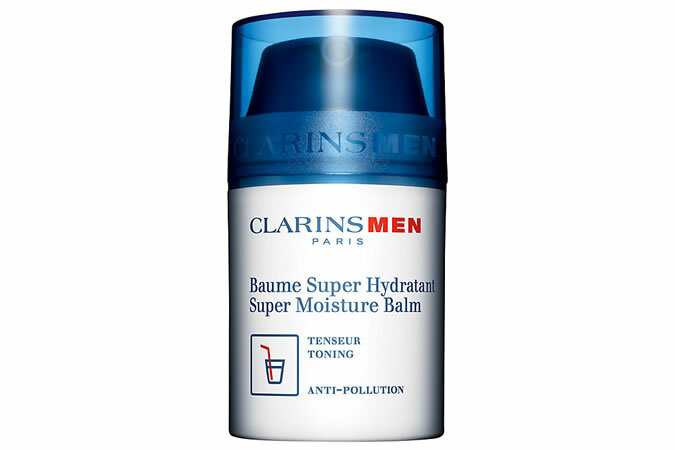 “There are plenty of great brands, but on the men’s side, my experience is that ClarinsMen Super Moisture Balm is highly effective.” Get it all up in your face within five minutes of exiting the shower for best results. There are so many factors causing skin dryness that you can get tired arms from pointing fingers. One you might not be aware of is your clothing. 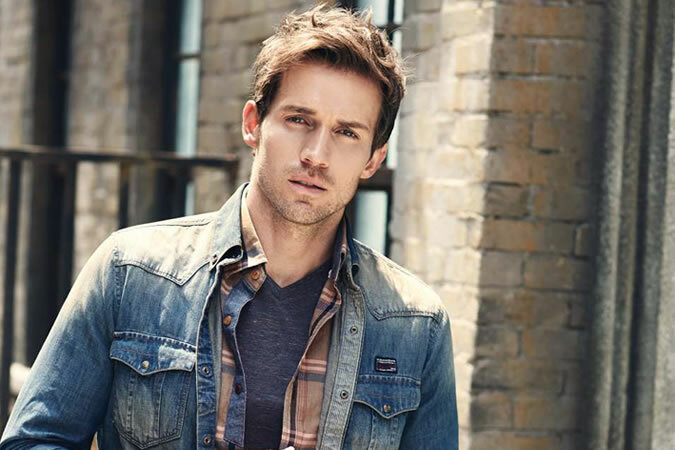 “Fabrics in your attire can irritate your skin,” says Mahto. “This is especially true in people particularly prone to dry skin or skin irritations. Wool is the most problematic. If it feels itchy when you put it on, that’s your skin reacting to the material.” Best layer with cotton and leave that woollen scarf behind. 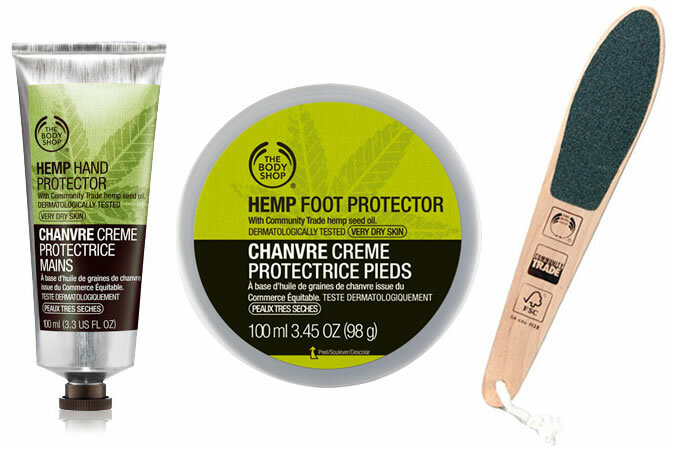 No men’s grooming guide is complete without mentioning that yes, we have hands and feet, and yes, you really do need to do something about them. It isn’t ‘girly’ to decide that you’d prefer to keep the skin there rather than leave it behind in gloves and socks. “These are such neglected areas,” says Mahto. “Use a pumice stone on your feet and apply a cream afterwards. And carry a small hand cream with you if you don’t have good cotton gloves.” You’ve been told. Believe it or not, despite Britain’s thick blanket of clouds, skin-damaging UV rays still break through the winter smog and can wreak havoc on your skin. “You should still be thinking about SPF during winter,” says Mahto. Get a good lip balm with SPF to start, as sun exposure can exacerbate chapping. 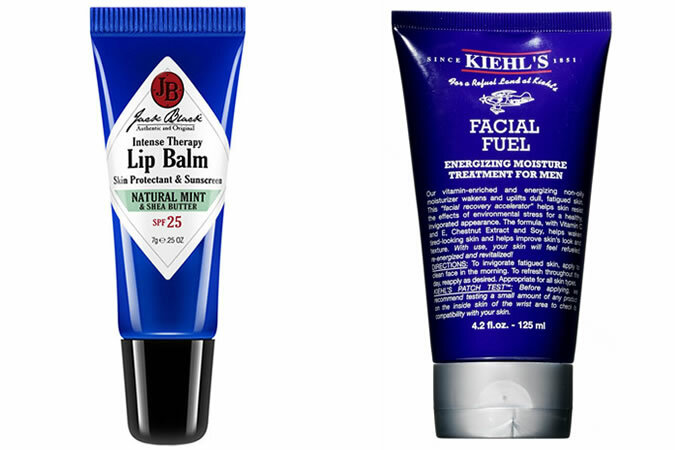 Then invest in a moisturiser like Kiehl’s Facial Fuel SPF 15 to bolster your defence. 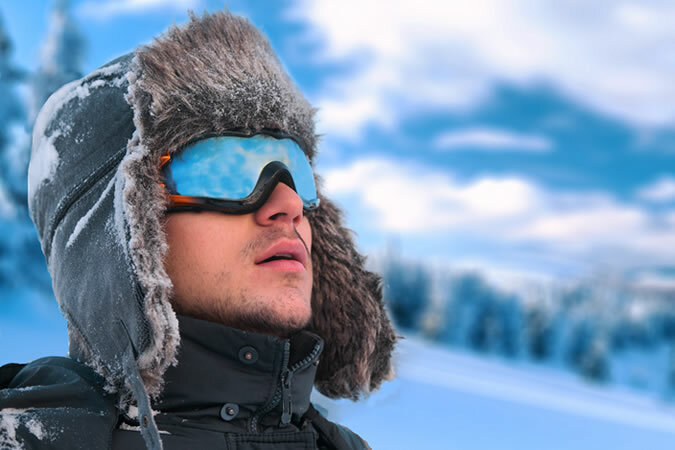 Speaking of UV, if you’re a snow sports type of guy, then this is especially important for you. “Just because it’s cold up there, that doesn’t mean you’re not exposed to harmful sun rays for hours a day,” says Mahto. The slopes are a dry skin party and every skier deciding to eschew the sun cream is invited. Don’t be that guy with the goggle-shaped burn and flaking skin. It’s not just the cold that causes problems. Anyone who uses public transport will know that trains and busses are hotter than the sun between October and March. While it’s nice to have a break from the lip-quivering cold, this does nothing for the moisture in your skin. “Going from cold to hot doesn’t help the situation,” says Mahto. 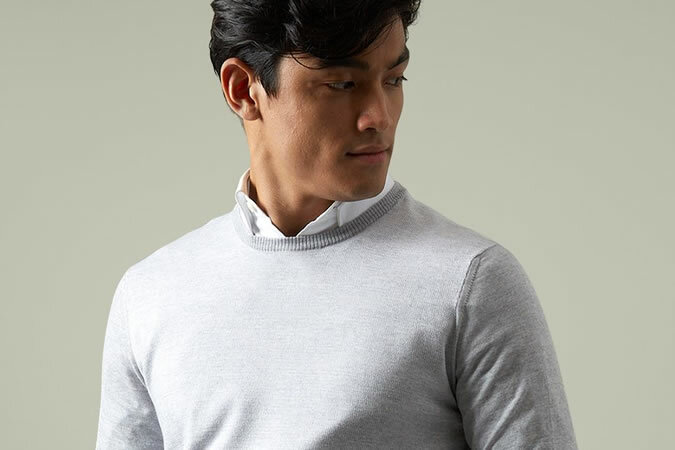 Your move is simple: layer smart so you can easily adapt to fluxing temperatures, be that at home, at work or on the waking nightmare that is the bus to work. So it turns out exercise isn’t just the key to handsome biceps. Working out is good for your appearance, improving skin elasticity, adding a little oomph to your dermis and improving moisture delivery to your face. 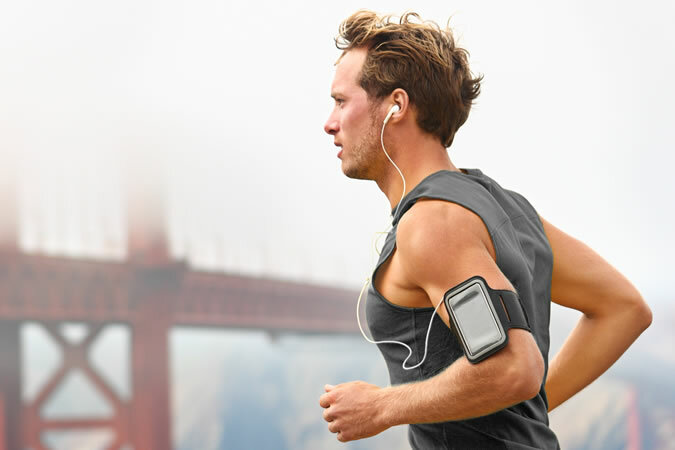 Problem is, according to experts at McMaster University, too much exercise actually does the opposite. Stick to a few hours a week. You only need pick up a women’s mag to learn that beauty starts on the inside, or something. But rather than buying those expensive collagen shots, pore over this finding from a study published last year: the right combination of fruits in a smoothie, when consumed daily, can actually give the appearance of a tan while improving skin health. That’s no small bonus in the winter months. 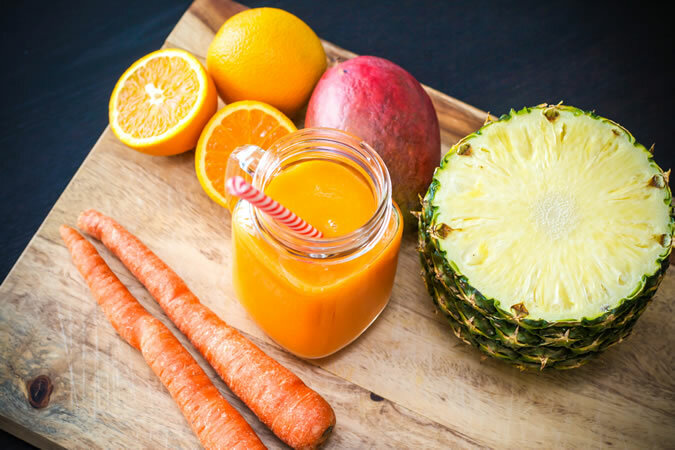 Blend carrots, orange and lemon juice and some milk for a payload of carotenoids – a compound that adds colour to your skin. A healthy glow without having to emigrate to Australia. Reviving dry skin is all about expert timing and the right product nous. Go easy on the exfoliator, put a moratorium on soap usage, turn down the thermostat and you won’t be wearing winter on your face this year. Do you have any proven ways of doing away with dry skin?